Slovenia’s capital turns into a fairytale. Come in December when the Baroque architecture get lit up by Christmas lights. 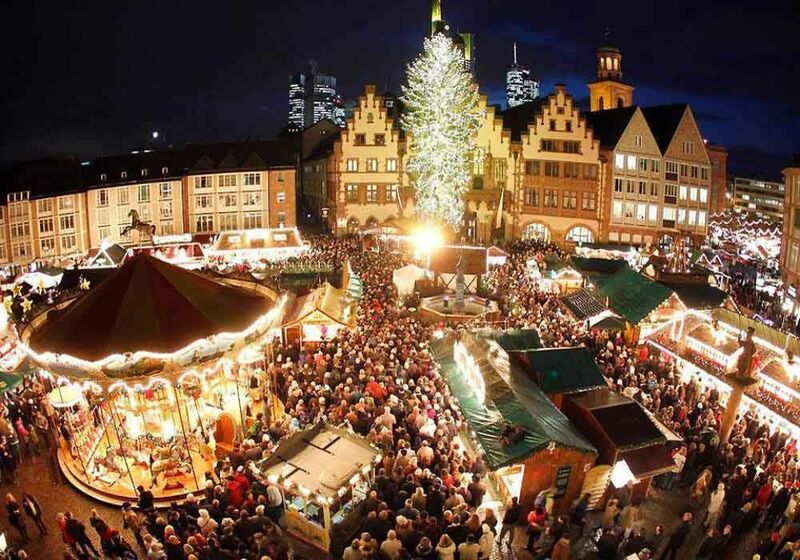 This lively city is home to four Christmas markets held within its historic city center from end of November to beginning of January. 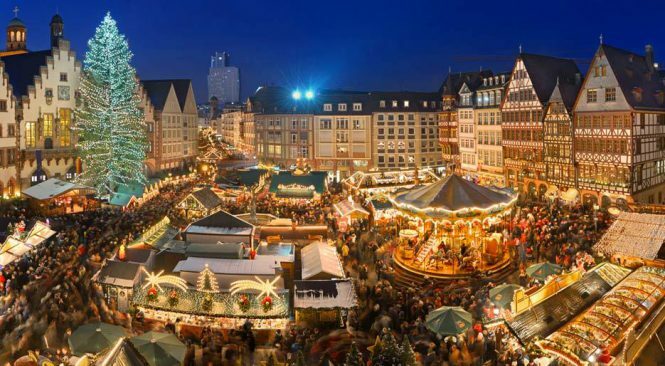 Don’t miss out on visiting one of the most attractive European capitals during this festive season. Ranked one of the most romantic cities in Europe, Vienna is the perfect destination for Christmas lovers. With its many Christmas markets and elegant decorations, Vienna is the perfect place to spend a weekend with your significant other. From mid-November until Christmas, Vienna is home to a beautiful Christmas market where bakery scents linger in the air for an unforgettable Christmassy experience. Don’t forget to spend a little time on the ice-skating rinks and have a hot chocolate and Sacher torte on the snow-covered rooftops. Europe’s best-preserved medieval city, home of the snow and ice sculpture festival, is especially charming during holiday season. This winter, hop on a plane and go enjoy some Belgian hot chocolate after a nice stroll at the Christmas market. One of the main reasons to visit Edinburgh is the Street of Light. From mid-November to beginning of January, tens of thousands of small Christmas lams light up in rhythm with the music and you should not miss it! Another reason is the Hogmanay Festival – a wild and festive three-day New Year celebration with concerts, fireworks and a lot of partying. Finally, taverns will keep you warm all winter, but I highly recommend stepping outside for some gorgeous landscapes. If you’re a Christmas market enthusiast, you shouldn’t miss a chance to see Budapest during the holiday. Enjoy mulled wine, gingerbread, and hand knitted wool sweaters while experiencing the gorgeous Christmas lights and ice skating at the Basilica. The rest of the city is just as beautiful, and you should absolutely take a few minutes to watch the ice drift on the Danube around the Parliament. After exploring the city, you might enjoy warming up in one of the thermal baths. And for all you night owls, you’ll be glad to know that Budapest nightlife is extremely developed, there are many rural bars and numerous nightclubs for you to black out in.